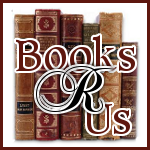 Ginger High- Books R Us: GUEST POST BY AYA KNIGHT AUTHOR OF THE CHRONICLES OF KALE. GUEST POST BY AYA KNIGHT AUTHOR OF THE CHRONICLES OF KALE. I want to welcome Aya Knight to Books R Us. Aya is the author of The Chronicles of Kale: A Dragons Awakening (Book 1) (Old Line Publishing). Thanks for stopping by. It all began with the passion to write—combine a touch of Diablo II (yep, the computer game), a dash of D&D, and a cup of imagination and you’ve got the perfect mixture of inspiration for The Chronicles of Kale: A Dragon’s Awakening. I’ve always been fond of the fantasy genre and anything that can “sweep me away” to an alternate reality. As years passed, little pieces of the story would come to me. Eventually, a plot began to form within my mind and all I could think was “I need to write this down before I forget”. It started with a few simple paragraphs and before I knew it, my pen began to lead the path ahead—page after page filled with words of a hot-headed dragon and his amazing journey. I soon fell into a repetitive routine of scribbling notes and paragraphs of content down on a nightly basis. What started as an adventure I was in control of, was quickly taking me on an epic quest. Many of the aspects in the story I had originally planned out never happened. As the story progressed I began to let things unfold naturally. My advice to other aspiring authors would be to devise a plan before writing. You’ll need to have an idea of A (being the beginning of your story) to Z (the conclusion of your story). Mapping out how your character(s) will get from A to Z is highly recommended since it will greatly aid in the flow of your story—you won’t find yourself questioning “what will happen next?” as often by pre-planning. However, never let your ‘structured’ plotline hold you back. While it’s great to know where you’re going in a story, as the story progresses allow things to flow in the direction that “feels right”. If you push yourself to abide solely by your original outline, the story has good odds of coming off as forced to readers. You, as the author, know where you want to go in the story—let the characters show you how they want to get there. That to me is where the true “life” of a novel comes from. To shed a little more insight on my book: A dragon versus humans has been the cliché storyline in countless novels and movies. I wanted to take this classic plot and throw a completely new twist into the mix. Kale, known to most as the black dragon Firehart, despises human-kind more than any other species in the world of Revaxis. Suddenly, his life is thrown into shambles as a spell is cast, transforming him into the very flesh he has longed to avoid. It’s a roller-coaster ride of emotions; from heart-pounding battles, to bittersweet romance. If you’re a fan of dragons, yet looking for something out of the norm in a visually painted world unlike any other—then take a chance on The Chronicles of Kale: A Dragon’s Awakening! The book will be available on May 6th 2011 but you can pre-order the book at Amazon.com . I will be reviewing the book on my blog soon. Disclosure: This was an unpaid post. When in May does this book come out? I really love books like this. How many books will be in the series?? I hope it will be at barnes and nobles because there is one near me that I go to alot.